Road Surface Treatments Association RSTA. 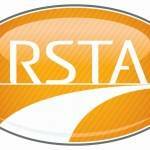 ND Brown LTD are delighted to announce that our application to join The RSTA has been accepted. We look forward to many years of the mutual benefits that inclusion in such a highly regarded association may bring.